Mysterious city, where black and white magic meet, former Italian capital. Torino, capital of Piedmont, is all this and more. 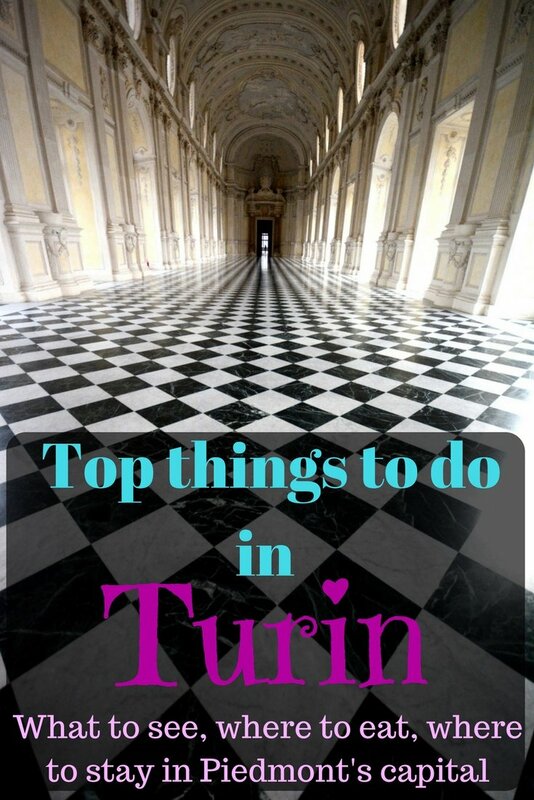 It doesn’t matter if you don’t have enough time, the top things to do in Turin, Italy, can be squeezed in a couple of days. If you can afford some more time, however, we know you won’t regret it. Compared to Italy’s iconic destinations like Rome, Florence or Venice, Turin is less crowded with tourists, but nevertheless, Savoys’ capital knows how to treat its visitors. 1. Beautiful architecture. Monumental palaces and buildings define some 2000 years of architecture in the first capital of unified Italy. The royal mansions of the Savoy family scattered all around the city center and Turin’s outskirts add to the artistic value of the urban landscape and make your trip interesting and engaging. 2. Museums. With more than 40 museums, it’s safe to say that Turin has something to offer to anyone. Whether your interest is cinema, contemporary art, the Egyptian culture, sports or anthropology, Turin got you covered. Turin is also the city where the only self-portrait of Leonardo Da Vinci is kept. 3. Chocolate. Alongside being Italy’s capital, Turin boasts also a long tradition of chocolate authority. Enjoyed in both liquid and solid forms, Turin’s chocolate can become addictive and easily a big part of your trip. After Turin, your chocolate experience will never be the same. See below where we suggest you have your chocolate intake and taste Turin’s historical drink. 4. Sacred art and architecture. The Savoy royal family never neglected their spiritual life, so it goes without saying that Turin is home to beautiful churches and a fine sacred art alongside important symbols of the Catholic religion, first among all the Holy Shroud. More on how to visit the Holy Shroud below. 5. It’s green. Despite being a large city, the traffic in Turin is not mental and many people choose to bike over driving. Turin has also some lovely parks where you can have a picnic, a bike ride, a nice walk or run, or simply relax surrounded by greenery. 6. It’s magical. While this can be read as a generic compliment, in Turin’s case it applies pretty literally. Considered the crossing point between black and white magic, if you are wondering what to see in Turin away from the usual tourist path, you can look for the holy grail, research the occult, explore where good and evil meet, and capture the energy of unlikely spiritual places. Turin is a 2000-year-old aristocratic lady. Its origins are linked to the first settlements of Celtic tribes around the 3rd century BC. In 58 BC, Julius Ceasar set up a military settlement, Julia Taurinorum, where the Po and Dora Riparia rivers join, but the official foundation of the city is to be placed in 28 BC when Emperor Octavianus Augustus founded the second outpost and named it Augusta Taurinorum. From the 4th and 5th centuries, Turin has been under Barbarians’ attack, in 569 the Longobards made the city capital of a dukedom, and in 773 Charlemagne made it the center of a Frankish countship. In the 10th century, Turin was incorporated in the Marca Arduinica, a vassal territory of the Italic Kingdom and the Sacred Roman Empire created after the fall of the Anscarids rule. In the 11th century, Adelaide di Susa from the Marca Arduinica rulers married Oddone of Savoy, officially kicking off the influence of the Savoy clan over the territory. For some 1000 years, the Savoys ruled Turin. Widely connected to the other royal families through strategic marriages, they contributed in making it one of the crucial European hubs as well as a magnificent and lively city. In the 16th century, Turin became the capital of the Savoy Kingdom and in the immediate years the citadel and the battlements were built, the city center was given its distinctive Baroque style, austere and elegant. Architects, artists, and writers started pouring and Turin royal court quickly became a center for the arts with names such as Torquato Tasso, Gianbattista Marino, and Filippo Juvarra. In 1706, Turin lived 117 days under the siege of the French Army, but the citadel fought back and the was freed also thanks to the fierce sacrifice of men like Pietro Micca who died in the explosion he himself set off to prevent the French troops from moving forward from the tunnels surrounding the city. 1713 saw Turin become the capital of the Kingdom of Sardinia and more palaces were built and renovated to make it look grand enough for the newly acquired status of imperial capital. Napoleon occupied the city in June 1800 demolishing the bastions and the gates and replacing them with the boulevards Paris-style. French became the official language and a guillotine was erected in Piazza Carlo Emanuele. Turin lived French-style until 1814 when the Vienna Congress approved the return of the Savoy with Vittorio Emanuele I as the king. After a strong support to the battles of the Italian Risorgimento, in 1861, Turin became the first capital of unified Italy and Vittorio Emanuele II was declared the last king of the Sardo-Piedmont Kingdom and the first king of Italy. Only four years later, however, and despite fierce protests in Turin, the title of capital of the new nation was given to Florence. Turin never gave up on its cultural and economic importance. In the late 19th century essential factories such as FIAT and Officine Savigliano were born and at the beginning of the 20th century, Turin was one of the world’s industrial capitals. 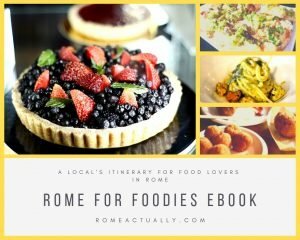 Planning a trip to Italy your own? Check out our two-week Italy itinerary packed with useful tips here. Before you start exploring Turin attractions, I highly recommend you pop in at Turin Tourism Office in Piazza Castello (which is also where your Turin tour will start), right in front of Palazzo Madama and near a small pizza place and a newsagent kiosk. Here you will get all the information you need to make the most of your trip to Turin, from updated monuments opening hours to public transport timetables to the Torino Card, which I also recommend. We stayed in Turin for a full three sightseeing days so we bought the 3-day Turin+Piedmont Card. The price is 42 euro, but with hindsight, we can safely say it was the best decision we made as it saved us a huge deal of money with both complimentary entrances and discounts on the public transport. Address for Turin Tourism Office: Piazza Castello/Via Garibaldi and Piazza Carlo Felice. Opening hours for Turin Tourism Office: daily 9 am-6 pm; on December 25th 9 am-12.30 pm and 2.30-8 pm; on January 1st 10 am-6 pm. Purchasing the 3-day card, you also have a discount on the 3-day ticket for the GTT public transport, so I suggest you don’t rush buying the bus ticket from the train station as soon as you reach Turin and wait until you have Turin+Piedmont Card. If you purchase the 3-day card, you can buy also a cumulative tourist service pass of 6 € that includes the shuttle bus to Venaria Royal Residence, the train from Sassi to the Superga Basilica, the elevator to go up the Mole Antonelliana and, when it’s the season, also the ferry on the Po river. There is also a 1-day card (23 €) and gives you free entrance to maximum three landmarks, while the 2-day card (35 € or 15 for under 18yo), the 3-day card (42 € or 19 for under 18) and 5-day card (51 €) give you free entrance to almost all landmarks and discount to the remaining. With the 1, 2 and 3-day cards, you can match the GTT tickets for the public transport. You can buy the card online before you arrive or at the tourism office. Click here to buy online the 2-day Turin+Piedmont Card, here for the 3-day Card and here for the 5-day Card. If you are traveling to Turin with your family, you can purchase the Royal Card to soak in the royal atmosphere. One ticket for an adult and a child younger than 12 costs 34 € and gives you free access to the main royal residences (including the temporary exhibitions), free public transport for 48 hours (including the shuttle bus to Venaria royal residence), free access to the “Reali Sensi” experiences, a series of appointments where you can explore the places linked to the royal family with all five senses, and 10% discount on the Royal E-Bike Tour, Merenda Reale (Royal Snack) organized in some of the cafes inside the residences, and on the TaxiTorino cab services. Children between 3 and 11 years old need their own ticket for the public transport. Click here to buy Turin’s Royal Card. Many are the themed itineraries you can follow in Turin. Monumental, lively and proud, Turin is multifaceted. History buffs can follow what I like to call the “royal itinerary”, exploring palaces and buildings linked to the former Italian royal family, the Savoy dynasty, while the lovers of esoteric will easily get caught up in the mysterious crossing between white and black magic. The great choice of both indoor and outdoor activities and places to see in Turin makes it a perfect destination to visit in every season. Whether you want to know what to see in Turin in one day or you are planning to stay for longer, our guide will help you plan a perfect trip. One of the first Turin sights to include in your itinerary is Palazzo Reale (Royal Palace), the main residence of the Savoy family located in Piazza Castello, the heart of the city from where all the main roads branch off. This is one of the six royal residences located in the city center and declared world heritage site by UNESCO in 1997 alongside 11 other palaces scattered around Turin. The huge complex of the Musei Reali di Torino includes the Palazzo Reale itself, the Royal Gardens, the Library, the Savoy Gallery, an impressive collection of paintings that includes masterpieces of Beato Angelico, Filippino Lippi, van Dyck, and Rubens, the Armeria Reale (Royal Armory), one of the world’s largest collection of weapons from pre-historic times to WWII, and the Ancient Museum and Roman Theater underground. Part of the royal museums is also the Chapel preserving the Holy Shroud, which is now under restoration and closed. The shrine where the Holy Shroud is kept can be seen at the Duomo behind the palace. Some 3-km route, the complex will show you the most crucial moments of Turin’s history from the first Roman settlements to the Italian unification. 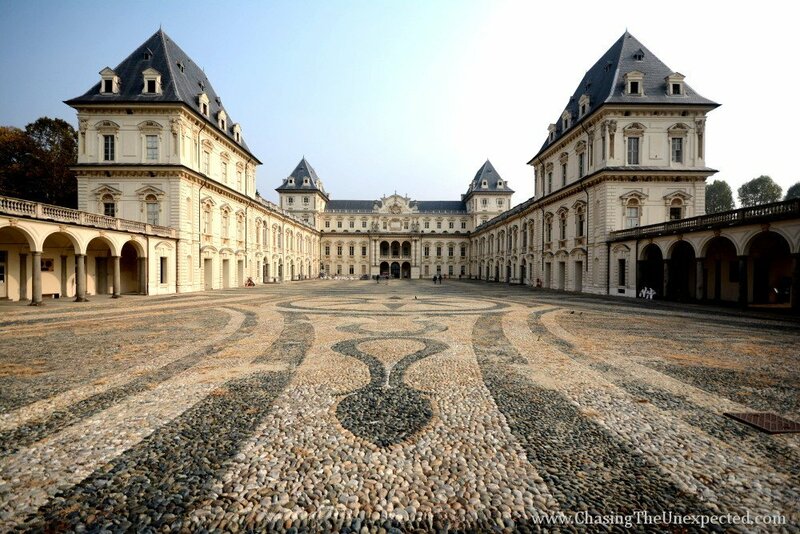 The royal complex stands at one end of Piazza Castello, which is believed to be the heart of Turin’s white energy. The line that separates Piazza Castello with Piazzetta Reale, the entrance to the royal palace, is guarded by the statues of Castor and Pollux, and this where the good and evil, the sacred and demoniac, the white and black magic meet. Address of Turin’s Palazzo Reale: Piazzetta Reale (Piazza Castello). Opening hours of Turin’s Palazzo Reale: Tuesday-Sunday 9 am-7 pm (ticket office opens at 8.30 am and closes at 6 pm). Closed on Monday. Entrance fee to Turin’s Palazzo Reale: 12 € the full ticket, 6 € for 18 to 25-year-old and teachers, free for less than 18-year-old and holders of Torino+Piemonte and Royal cards. Used in the 17th and 18th centuries as a residence for the ladies of the Savoy royal family, Palazzo Madama is actually much older. As a matter of fact, it’s been there since the beginning of Turin’s history. Created as a Roman gate, it was turned into a fortress in the Middle Ages and then became the castle of the Acaia rulers. In the 19th century, King Carlo Alberto made it the seat of the Senate of the Kingdom of Italy, and since 1934 it has been hosting the Museum of Ancient Art. Today each floor of Palazzo Madama represents an era. Travel through the Baroque opulence of the queens’ apartments on the first floor, admire the sculptures and paintings from the Gothic period and the Renaissance on the ground floor and visit the medieval remains on the underground level. The second floor is devoted to decorative art collections. Address of Palazzo Madama: Piazza Castello. Opening hours of Palazzo Madama: Open daily except Tuesday 10 am-6 pm. Entrance fee to Palazzo Madama: 10 € for the full ticket for the museum excl. temporary exhibitions, 8 € for visitors between 18 and 25 years old and for older than 65, free for younger than 18 and holders of Torino+Piemonte and Royal cards. The only Renaissance church in Turin, the Duomo is devoted to John the Baptist. A mix of Baroque and Renaissance styles, the cathedral of Turin today preserves the Holy Shroud. For practicing Catholics, or even only cultural tourists, this makes it one of the top things to do in Turin. The “Sindone” is a 4.42-mt-long and 1.13-mt-wide piece of linen cloth and, according to the tradition, it’s the funerary cloth used to wrap the body of the Christ after it was removed from the cross. The Shroud, or better, the silver and glass shrine can be seen at the very end of the left nave, while in the right nave you can watch a video that explains everything about Christ’s cloth. If you want to know more about the Shroud, you can visit the Museo della Sindone (6 €) in Via San Domenico 28, some 10 minutes walk from the Duomo. Built at the end of the 15th century by the will of the Savoys and Bishop Domenico della Rovere, Turin’s cathedral was expanded in the 17th century to host the Shroud, brought to Turin from Chambéry in 1578 by the Savoys. In the 17th century, architect Guarino Guarini was commissioned both the majestic dome and the chapel where the Shroud is kept. From the original building, we can see the bell tower and the facade. The facade and the interior of the Duomo were restored after the huge fire that destroyed much of it the night between April 11th and 12th 1997. The Shroud, too, was damaged, and this is why it has been placed in a new shrine made of sealed bulletproof glass, air-isolated and with only an inert gas, protected from the light and all atmospheric agents. Some believe Piazza San Giovanni is the line separating good and evil because it’s where the Cathedral housing the Holy Shroud stands and also where capital executions happened. Address of Turin’s Duomo: Piazza San Giovanni. Opening hours of Turin’s Duomo: Daily 7 am-12.30 pm and 3-7 pm. Entrance fee for Turin’s Duomo: Free. The royal church of San Lorenzo sits in Piazza Castello, but the absence of a facade makes it hard to spot it. You can understand there is a church between those walls only for the presence of a dome. Wanted by the Savoys as part of the royal palace, the church was devoted to San Lorenzo after the victory by Emanuele Filiberto over the French troops on August 10th (day of St. Lawrence) 1557. The church was designed Baroque-style by the monk architect Guarino Guarini and consecrated in 1680. In 1578, when the capital of the Savoy dukedom was transferred from Chambéry to Turin, the same Emmanuel-Philibert, Duke of Savoy, brought here the Holy Shroud to allow Milan’s bishop Carlo Borromeo to worship it after a pilgrimage of gratitude from Milan to Turin for the end of the plague. Today a copy of the Sindone is still kept in San Lorenzo church. This church is beautiful and definitely one of the places to see in Turin for its wonderful dome inspired by the Islamic architecture and the 17th-century altar. The design for the facade was never completed because the royal family didn’t want to interrupt the harmony in the architecture of the existing Piazza Castello and to avoid the symbol of the royal power to be hidden by a religious building. Address of Chiesa di San Lorenzo: Via Palazzo di Città 4. Opening hours of Chiesa di San Lorenzo: Monday to Saturday 7.30 am-12 pm and 4-7 pm; Sundays and holidays 9 am-1 pm and 3-7.30 pm. Entrance fee for Chiesa di San Lorenzo: Free. Among the top things to do in Turin, you must absolutely include the Museo Egizio, founded in 1824 by King Carlo Felice. Similarly to the Egyptian museum in Cairo, the Museo Egizio in Turin is entirely devoted to Egyptian ancient culture, art and history, enshrining the discoveries and studies of the most important researchers in this field, such as Jean-François Champollion, the French expert in decoding Egyptian hieroglyphics. Housing essential relics found during the archaeological diggings in pharaohs’ tombs and ancients cities. As soon as you enter, you are given the audioguide and a map to help you follow the chronological path. Among the Turin sights, this is a real gem. If it’s your first time in the city, I highly recommend it. Address of Museo Egizio: Via Accademia delle Scienze, 6. Opening hours of Museo Egizio: Daily 9 am-6.30 pm (Monday until 2 pm). 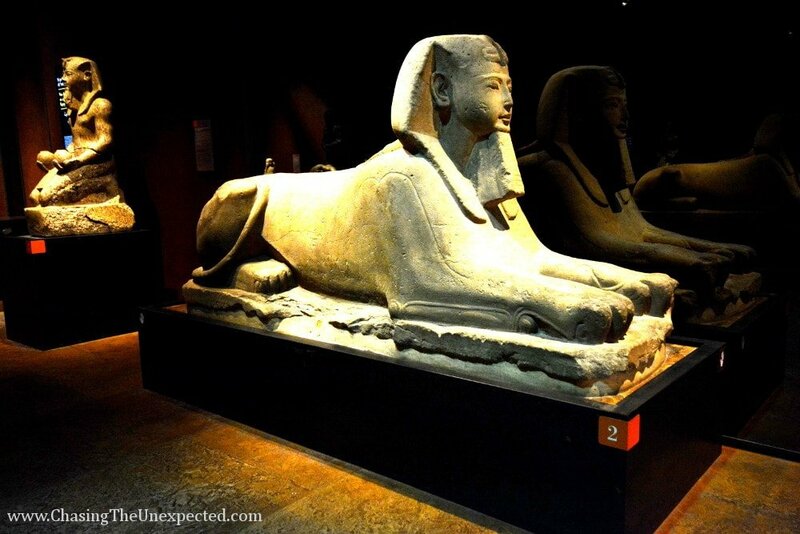 Entrance fee to Museo Egizio: 15 € the full ticket, 11 € for 15 to 18 years old, 1 € for 6 to 14 years old, free for less than 6 years old and holders of Torino+Piemonte Card. Beautiful Baroque-style palace looking over its namesake piazza, Palazzo Carignano is yet another project of Modena-born architect Guarino Guarini. The works for this building started in 1679 and ended in 1685 to become the official residence of the Carignano family, part of the Savoys, until 1831, when it became a public building. One of the most important royal palaces in Turin, together with Palazzo Reale and Palazzo Madama, and one of the Savoy buildings enlisted by UNESCO, here Carlo Alberto and Vittorio Emanuele II were born, and here was the seat of the first Italian Parliament. The red facade is covered with cotto tiles, while the back comes with an eclectic style of white stone, pink stucco, and pillars. Today the seat of the National Museum of the Risorgimento, the interior of Palazzo Carignano is rich in frescoes and decorations. Along with the museum covering the series of battles terminating with the Italian unification, visitors can also view the apartments of the Carignano Princes with a free guide provided at the entrance, organized following a specific timetable and in groups not bigger than 25 people, this is why I recommend stopping by in advance and enquiring about the time of the tours. Address of Palazzo Carignano: Via Accademia delle Scienze 5. Opening hours for Palazzo Carignano: Tuesday to Sunday 10 am-6 pm (last entrance at 5 pm), Monday closed. Entrance fee to Palazzo Carignano: 5 € full ticket, 2.50 € for 18 to 25 years old, free for younger than 18, and holders of the Torino+Piemonte and Royal cards. Free entrance for everyone on the first Sunday of the month. A beautiful square in the city center, one of the best things to see in Turin is Piazza San Carlo and its twinned Baroque-style churches of Santa Cristina (1639) and San Carlo (1619). Created as Piazza Reale, it later became Piazza d’Armi and Place Napoléon before being named Piazza San Carlo in 1618 after Milan’s bishop San Carlo Borromeo. Its beautiful layout makes it a perfect setting for concerts, political meetings, and all sorts of events. But to make this square important socially and historically is not just its beauty. The coffee shops lined around its perimeter, among which the most famous are Caffè Torino and Caffè San Carlo, have been for centuries the meeting point for intellectuals, researchers, aristocrats and even members of the royal family. In 1773, writer Vittorio Alfieri bought here a house that later transformed into a cultural association. Piazza San Carlo was even the theater of a protest repressed in blood when the Minghetti government decided to move the capital of the newly unified Italy from Turin to Florence in 1864. Sip your coffee at one of the old cafes and soak in Turin’s regal feel with the view of the statue of Emanuele Filiberto on a horse in its center. Symbol of Turin, there is more than one reason to visit the Mole Antonelliana. Panoramic elevator, historic landmark, and house of the Museo del Cinema, across the different floors of the Mole Antonelliana you can explore the most important moments of the history of the big screen, how the techniques and styles evolved, you can view different types of sets and play some interactive ruse such as 3D, be part of movie scenes and see some of the iconic symbols or object of international and Italian cinema such as the red scarf of famous Italian movie director Federico Fellini. Originally built as a Synagogue between 1863 and 1889 following a project by architect Alessandro Antonelli, 167-mt-tall Mole was later bought by the local Council that made it a national monument. In 1961, for the 100th anniversary of the Italian unification, they inaugurated the panoramic elevator and still today we can go up to admire a view of the city and the surrounding Alps. Opening hours of the Mole Antonelliana: Daily 9 am-8 pm (last entrance an hour before closing time), closed on Tuesday. Entrance fee to the Mole Antonelliana: 10 € is the full ticket for the museum, 7 € for the elevator, 14 cumulative museum+elevator; 8 € for the museum for older than 65 and university students up to 26 years old, 5 € for the elevator for 6 to 18 year-olds, older than 65, university students up to 26 years old, and holders of Torino+Piemonte Card, 11 € cumulative museum+elevator for university students up to 26 years old, older than 65, and groups of 15 people with booking; free museum and elevator for up to 5 years old, free museum for holders of Torino+Piemonte Card. That Turin is a royal city appears obvious from first sight. The architecture is majestic and roads and buildings were built in the most comfortable way so that also the elite could enjoy the city and walk around without giving up on their luxury and amenities. Often in Turin’s city center, you will see the walkways between buildings are covered, and this was aimed at easing the members of the upper class. The first of this series of covered walkways was built in 1856 and later destroyed for further construction works, but many others were built and lined up with cafes, shops, and theaters. Lovely tourist attractions, they are part of the soul of the city. Among the best you can visit today are 19th-century Galleria Subalpina between Piazza Castello and Via Cesare Battisti, Galleria Umberto I between Piazza della Repubblica and Via della Basilica, and Galleria San Federico, built in the first half of the 20th century and that you can access from Via Roma, Via Bertola, and Via Santa Teresa. Coming from the city center, cross the Po river from Ponte Vittorio Emanuele I bridge and you’ll find yourself facing an imposing structure on a hilltop. This is the Chiesa della Gran Madre di Dio, Italian for Great Mother of God, one of those places that in Turin are said to hold powerful energies. The large staircase in front of the austere-looking facade is dominated by the two statues standing on the two sides representing Faith, holding a chalice in her left hand, and Religion. According to the legend, the Holy Grail, the chalice from where Jesus Christ drank his last wine before being arrested, tortured and crucified, is buried somewhere in the middle. It’s believed that this was the site of a temple of the goddess Isis, whose cult was replaced by the advent of the Christian religion. Some believe that the same name of the church, devoted to the Mother of God, actually refers to Isis goddess. Address of Chiesa della Gran Madre: Piazza Gran Madre di Dio 4. Opening hours of Chiesa della Gran Madre: Daily 7.30 am-7 pm. Entrance fee to Chiesa della Gran Madre: Free. Being Turin part of both white and black magic triangles, it’s only normal to expect that some places hide negative energies. Apparently, Piazza Statuto is the heart of all evil, so if you are into esoteric and mysteries, stepping over this cobbled piazza is one of your top things to do in Turin. In the middle of the piazza stands tall the statue of the Fontana del Frejus, the fountain of Frejus road tunnel. The workers’ statues sit on a rough pyramid made of rocks brought from the Frejus to commemorate the people who died during the construction works of the tunnel. Many, however, believe this is the black heart of Turin, the point of the black magic triangle, and the gates to Hell. The link to the Darkness, however, is not recent. Piazza Statuto is located west, where the sun sets and the dark starts, reason why the Romans chose this area for capital executions and bury the dead. Truth is, it’s a beautiful piazza surrounded by covered porticoes to allow the members of the bygone aristocracy to enjoy their promenade also during the rainy days. I suggest a visit even if you are not an esoteric fan as all around is full of delicious restaurants. Get to the medieval quarter inside Parco del Valentino and you will whirl back to a couple of hundred years, right when the Middle Ages were in full tilt. The only thing, this medieval quarter is not quite medieval. Built between 1882 and 1884 for the Esposizione Generale Italiana, fair promoted by the Italian industrial society, this medieval quarter was planned by a team of artists and researchers who carefully recreated buildings, shops, and interiors as close to medieval times as possible, even using the same materials. In 1884, real workshops of carpenters, pottery artisans, textiles craftsmen, and more, were opened to show daily life back in the day. Although it was supposed to be destroyed at the end of the exhibition, in 1942 it became a museum and now it’s one of the favorite places to visit in Turin. Inside the quarter, there is the so-called Rocca, a 4-story building where you can see a proper medieval house, the kitchen, the bedroom, the dining halls, and the internal courtyard. Entrance fee to Turin’s Borgo Medievale: The Borgo is free, the ticket for La Rocca is 6 €, but it closes in winter. If you are still wondering what to do in Turin, Castello del Valentino will enchant you at first sight. Today the building of Turin’s university, its huge facade seems to belong to a romantic fairy tale and the surrounding park completes the royal scene. Built in the 16th century by order of Christine of France, wife of Vittorio Amedeo I, the castle is a design of architects Carlo and Amedeo di Castellamonte, who gave it a French touch in honor of the queen. After the death of Christine of France, the castle lost its rank as a residence and was used as a veterinary school, military base in 1824, the school for engineers from 1859, and now the building of the Department of Architecture of the Politecnico di Torino, Turin’s prestigious university. The interior is beautifully decorated in a typical 17th-century style and each room boasts its own frescoes. On the left of the castle, there is the Botanic Garden founded by Vittorio Amedeo II in 1729 and that preserves several rare species and a rich library. Address of Castello del Valentino: Viale Mattioli 39. Entrance fee to Castello del Valentino: Ticket is 3.50 €, the guided tour is free but the booking fee (mandatory) is 3.50 €. 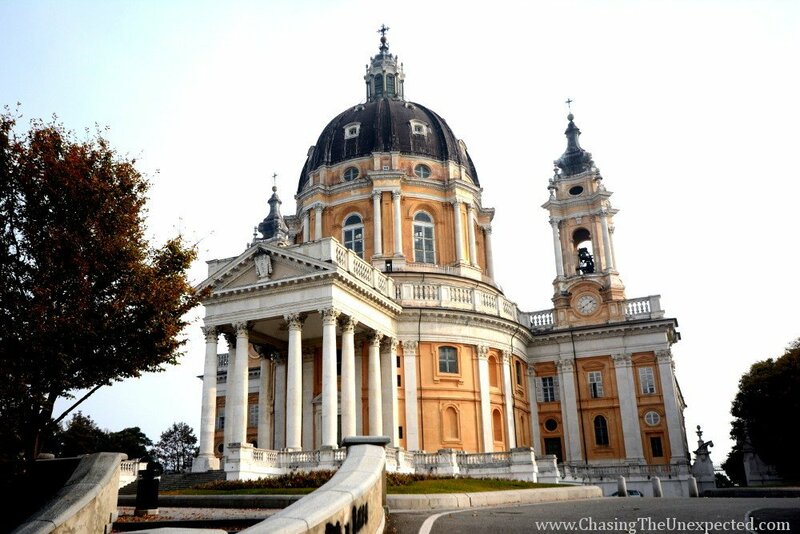 One of best places to visit in Turin is the gorgeous Basilica di Superga. A pearl of Piedmont Baroque style, this is another project of Sicilian architect Filippo Juvarra. In its underground, you can visit the Savoys tombs, while from its terrace you can admire the view French philosopher Rousseau defined “the most beautiful sight the human eye can see”. To understand the reason why they needed to build a basilica on a hilltop, we need to go back some 300 years. It’s 1700, and Charles II of Spain, the last Habsburg King, on his deathbed at only 38 years old, designated as his successor Philip Duke of Anjou, grandson of Louis XIV, the powerful king of France, as suggested by the Pope to avoid the Habsburg hegemony. On November 1st, 1700, at the death of Charles II, Louis XIV of France proclaimed Philip of Anjou as the king of Spain with the title of Philip V.
Not everyone, however, agrees with this decision, as they see the French kingdom dangerously expanding. This is how the other European kingdoms form an alliance against the French House of Bourbon starting the 14-year War of the Spanish Succession. At first, Vittorio Amedeo II Duke of Savoy sides with the French, but in 1703, the French take a sudden U-turn and arrest half of the Savoy troops. Even though aware that it was a heavily unfair battle, he wages war against France and turns to his cousin, Eugenio of Savoy-Soissons, a general at the service of Leopold I, for help. Leopold I, emperor of Austria, agrees to send some 27,000 troops, and by the time they get to Turin, they have increased to 33,000. In May 1706, however, Turin is under the siege of 44,000 French-Spanish troops, a siege that will last for 117 days. The night between the 29th and the 30th of August, the Franco-Spanish will try to enter Turin via the tunnels of the citadel’s dungeon. Soldier, now national hero Pietro Micca becomes aware of this and blows up the tunnels using a short fuse after sending away his comrade. Despite taking the necessary 40 steps away from the explosion, the blast wave kills him. The French-Spanish troops, however, don’t enter Turin. On September 2nd, 1706, the two cousins, Vittorio Amedeo II and Eugene of Savoy-Soissons, are on the Superga hill to have a better view of the troops under siege and of the whole Turin’s plain, but also because here was the statue of the Our Lady of Grace, and in front of this statue the two cousins made a vow: if they managed to defeat the French troops, they would build a church there. On September 7th 1706, the Austro-Savoy troops attack the French-Spanish army: around midday, the latter seems to be winning, but around the evening the outcome is overturned and Turin is free. The fulfillment of the vow, however, will have to wait another ten years. With the Utrecht Treaty, in fact, Vittorio Amedeo II of Savoy becomes the ruler of Sicily, and to better get to know his new citizens, he spends one year living in Palermo, where he’s crowned king of Sicily. It’s in Palermo that Vittorio Amedeo meets Filippo Juvarra, Messina-born abbot and great architect. The king is a big fan of Juvarra, and when he returns to Turin, he nominates him the official architect of the royal family. Many are the buildings designed by Filippo Juvarra in Turin, and among these, one of the most famous is the Superga Basilica. 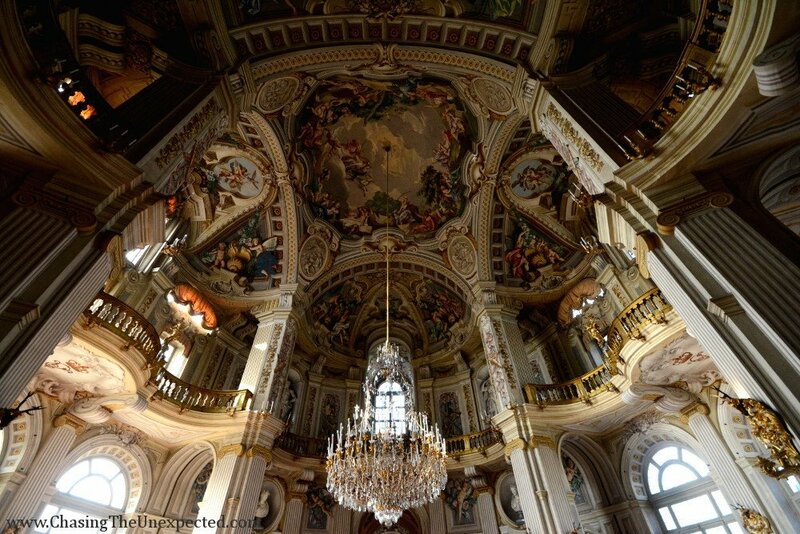 In 1717, the works for this beautiful 75-mt-tall baroque basilica started and in 1731 it was inaugurated. It stands at 672 meters above sea level and its interiors are decorated with Carrara marble and works by Francesco Borromini. In addition to the basilica, you can also visit the Savoy Royal Tombs, designed by architect Francesco Martinez, Juvarra’s grandson, housing 62 Savoia’s tombs, and the Royal Apartments, the original furniture of which was stolen by the French of Napoleon, famous for looting whatever they could, during their short occupation of Turin at the end of the 18th century. They also wanted to destroy the mausoleums and scatter the ashes of the royal family, but they were kindly talked out of this by the members of the basilica’s religious order. Superga Basilica is often sadly remembered for the plane crash against the back of the building where all the members of Torino soccer team lost their lives on May 4th, 1949. How to get to Basilica di Superga: Take the tram 15 from Piazza Castello or buses 68 or 61 from Porta Nuova station and get off at Sassi. From here, take the train on the old rack railway to Superga, it leaves one every hour starting at 10 am and it takes some 20 minutes. Here, too, timetables change depending on the season, the tourism office will be able to provide the updated timings. Entrance fee to Basilica di Superga: 5 € for the tour to the royal tombs or the apartments, 4 € for older than 65 and students, free for younger than 12 and holders of the Torino+Piemonte Card. 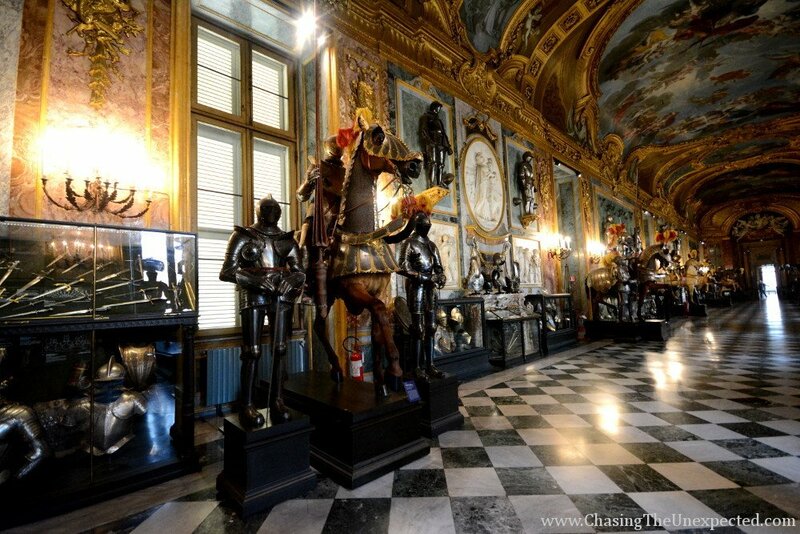 Don’t end your Turin sightseeing without visiting at least one of the royal residences in the outskirts of the city. 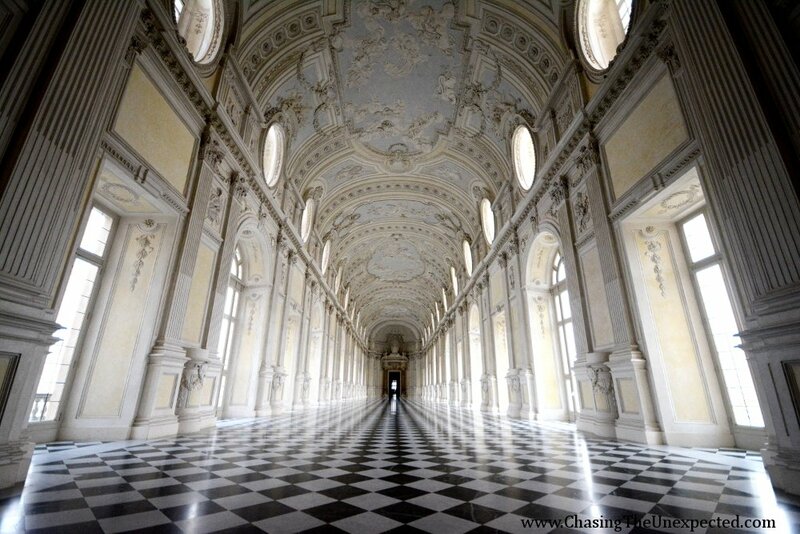 Easy to reach, fans of slow travel can make their visit to La Venaria Reale one of their lovely day trips from Turin. Built as the hunting lodge of Duke of Savoy, Carlo Emanuele II, the famous Reggia di Venaria is a huge complex where luxury and opulence are key. Visiting La Venaria Reale you will travel in time across the history of the House of Savoy, the evolution of their supremacy and Turin from county to kingdom, and the architecture as a demonstration of power and grandeur. Start your visit from the basement, where you can cover the Savoy dynasty through their portraits. Counts in the Middle Ages, Dukes from the 15th century and Kings from the 18th century, the House of Savoy have been one of the longer-running ruling dynasties in history. In fact, almost 1,000 years went by from the Umberto I Biancamano early 11th century to Umberto II, the last King of Italy, in 1946. La Venaria Reale complex is a journey through the history of former Italian royal family and their love for elegance and style. Across the different floors, you will visit the royal apartments, the hunting lodge, the galleries, the never-missing chapels, the grand stables, a design by architect Filippo Juvarra, and obviously the wonderful gardens. Your day trip from Turin can include a delightful lunch at one of the restaurants or cafes part of the complex. How to get to Venaria Reale: You can get the VenariaExpress shuttle bus from Piazza Vittorio or Piazza Castello and it will drop you near the entrance to Reggia Venaria station. 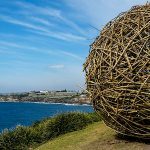 Timetables change in summer and winter so I recommend you ask at the tourism office. Opening hours of Venaria Reale: 9 am-5 pm (Saturday and Sunday until 6.30 pm), Monday closed. Entrance fee to Venaria Reale: 25 € the full ticket, 16 € only mansion and gardens, 5 € only the gardens; reduced 14 € for over 65, university students; 10 € between 6 and 20 years old, and university students (mansion + gardens); free for younger than 6 years old, and holders of Torino+Piemonte and Royal cards. Wonderful hunting lodge just outside the city, the Palazzina di Caccia di Stupinigi enters the list of the best places to visit in Turin with full rights. In 1729, Vittorio Amedeo II commissioned the building of a hunting lodge in the lands in Stupinigi that Emanuele Filiberto had bought in 1564. The great Sicilian architect took inspiration from the Roman architectural tradition he had learned at the schools of Carlo Fontana and Fischer Von Erlach and designed a lodge with an elliptical salon in the middle with side pathways laid out like hunting routes. A long, tree-lined boulevard represents the link with the rest of Turin’s architectural style and the pillar of the whole complex consisting of the lodge, a courtyard, the garden and the park. A favorite of the Savoys among the leisure and hunting places, the Palazzina di Stupinigi briefly hosted also Napoleon. How to get to Palazzina di Caccia di Stupinigi: Take the bus from Torino Lingotto train station. Opening hours of Palazzina di Caccia di Stupinigi: Daily 10 am-5.30 pm (Saturday and Sunday until 6.30 pm), closed on Monday. Entrance fee to Palazzina di Caccia di Stupinigi: 12 € for the full ticket, 8 € for visitors from 6 to 18 years old and older than 65, university students and holders of the City Sightseeing Torino ticket; free for children less than 6 years old and holder of the Royal and Torin+Piemonte cards. From Rome, Milan, Florence, Genoa or other big Italian cities, you can take the Frecciarossa, Frecciabianca or Italo trains and get to Turin’s main station, Porta Nuova, in Corso Vittorio Emanuele II 53. Very central, Porta Nuova lies within walking distance from many landmarks and is also an important hub for the urban public transport. Turin counts four other train stations, Porta Susa, Lingotto, Stura and Rebaudengo Fossata. The bus takes 45 minutes to the city center and stops in Porta Susa and Porta Nuova. The ticket costs € 6.50 at the ticket office or 7.50 if you buy it on board. Zia Mary Cigliano. For our Turin trip, we chose an apartment, and we have never been happier about our decision. Zia Mary Cigliano was absolutely one of the reasons we loved our stay so much. Cozy, well furnished and equipped with all necessary amenities and very comfortable. We had a kitchen equipped with stove, oven, fridge, a table, cutlery, plates, cooking pans, cupboards and all we needed for our short 4-day stay. The adjoining living room had a lovely sofa, table and flat-screen TV. The bathroom was also perfect, very new, everything working, complete with towels, soap and a hairdryer, and the room had a large, comfortable bed with soft linen and a huge wardrobe. There was no WiFi, which at first got me worried, but then in the immediate neighborhood, we found two places offering free WiFi connection and finally we never used it nor needed as we always got back home very late and super tired after a whole day of sightseeing in gorgeous Turin. 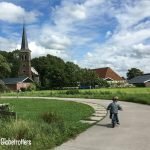 We also liked the neighborhood very much. It was relaxed, and there was a bank, a supermarket, several shops, restaurants, bars, coffee shops, and buses connecting directly to the city center, the main train station and the Sassi station to the Superga Basilica! Highly recommended. Grand Hotel Sitea. If you would rather choose an all-service-included accommodation, Grand Hotel Sitea is a luxurious 4-star hotel in Turin city center, just a stone’s throw away from the Museo Egizio. The soundproof, air-conditioned rooms include amenities such as a minibar, flat-screen TV with satellite channels, and bathrooms complete with towels, free toiletries, hairdryer. Comfortable, elegant, furnished in classic style, with WiFi available all over the property, a great service, and a delicious restaurant are what make this one of the favorite hotels in Turin. Turin Palace Hotel. Close to Porta Nuova station and the city center, Turin Palace Hotel is also a great accommodation in Piedmont’s capital and perfect location for sightseeing in Turin city center. The rooms are comfortable and modern, and among the favorite facilities are an excellent breakfast and free WiFi. Turin Palace Hotel also has a delicious restaurant open for lunch and dinner, and a state-of-the-art spa. B&B Terres d’Aventure Suites. A stylish, modern and comfortable B&B, Terres d’Aventure Suites is located in the very city center and provides the necessary relax after a day out in Turin. Set in a 17th-century building and decorated with a minimalist style, this B&B offers state-of-the-art facilities, free WiFi, a daily Italian breakfast, and a private bathroom complete with free toiletries and a hairdryer for each room. Duparc Contemporary Suites. This fantastic all-suite hotel is located in the trendy San Salvario neighborhood, so not in the immediate city center but close to some pretty nice restaurants and Turin’s favorite area for pre-dinner aperitivi. Here you will also be close to Castello del Valentino and Borgo Medievale. This 3-star hotel in Turin offers stylish, spacious suites that include a kitchenette equipped with oven, stove, fridge, kitchenware, a dining hall with a sofa, dining table, a TV with satellite channels. A delicious daily breakfast is served buffet-style at the on-site restaurant that also serves lunch and dinner. Free WiFi is available everywhere on the property. Antica Bruschetteria Pautasso. 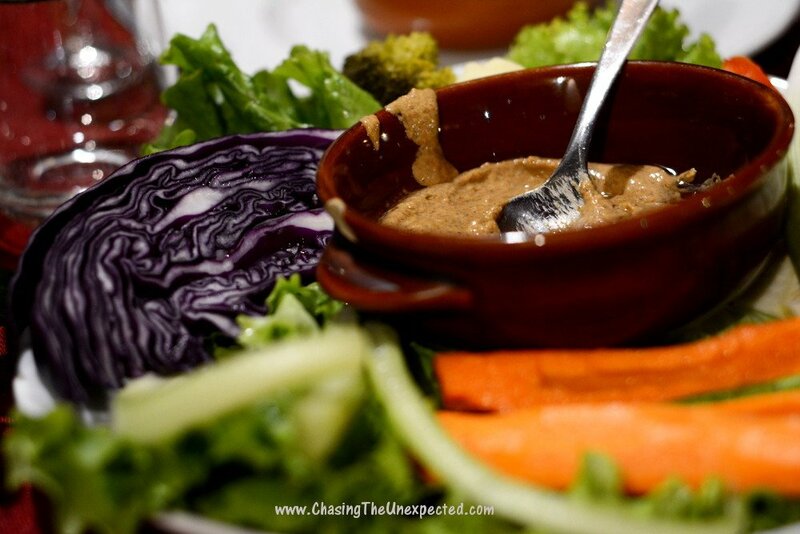 Hands down one of our very favorite restaurants in Turin was Pautasso. You can order traditional Turin dishes or more contemporary eats, you will revel in the cozy, softly-lit atmosphere. We loved the garlic-rich bagna cauda (they make it also without garlic), a typical sauce where you will dip fresh veggies, vitel tonné, also this typical, veal on a tuna sauce, beetroot dumplings on a pumpkin sauce and chives, and braised Piedmont veal. Cianci Piola Caffè. If you are looking for a very affordable meal, grab a table at one of Turin’s piole. These rustic restaurants are very popular especially among students because super cheap and still serve delicious traditional dishes and large portions. We had a fantastic cauliflower flan on cheese fondue as a starter, the typical tajarin pasta, lamb with potatoes, and a peach mousse as a dessert. ⇒ Address: Largo IV Marzo 9/b; open daily for lunch and dinner; phone: +39 011 569 0425. Beerba. For a delicious aperitivo and buffet dinner, try Beerba, you’ll thank me later. A different menu every evening, affordable prices, an unlimited buffet that makes vegetarians and non-vegetarians happy with treats such as pizza, lasagna, baked veggies, pasta, pies, and cold cuts. We loved also their exquisite cocktails, both alcoholic and alcohol-free. ⇒ Address: Via Sant’Anselmo 13/b; open daily 6.30 pm-1.30 am; to book (recommended), call +39 339 2184 3133. For typical Piedmont cuisine, other restaurants in Turin to try are Monferrato (Via Monferrato 6) that also boasts a great choice of homemade cakes, Solferino (Piazza Solferino 3), famous for its raw Fassona beef meat, and Ristorante Consorzio (Via Monte di Pietà 23), very central and popular for the quality of its traditional dishes and the tempting choice of desserts. Turin is also famous for its chocolate, so if you have a sweet tooth, don’t miss Guido Gobino La Bottega chocolate shop in Via Lagrange 1, not exactly cheap (their small takeaway treats are 100€/kg), but truly heavenly. Also, for a traditional Turin experience, enjoy a bicerin, typical drink made with coffee, chocolate, and milk cream. Where to find the best bicerin in Turin? Try it at the above-mentioned Guido Gobino, at Pasticceria Stratta in the beautiful Piazza San Carlo, and obviously at Al Bicerin (Piazza della Consolata 5), historic coffee shop where this delicious drink was invented. Search for more restaurants in Turin and read customers’ reviews. Even though you will very likely have WiFi access in your hotel or in many restaurants around the city, you might also need an internet connection when out and about. The local council has organized a WiFi coverage in some of the most popular areas of the city center such as Piazza Vittorio Veneto, Piazza Carignano, Piazza San Carlo, Piazza della Repubblica, Piazza San Giovanni (Duomo), Via Garibaldi 25 (Informagiovani), Via Accademia delle Scienze, Porte Palatine, Giardini Reali, and Piazza Carlo Felice, among the others.